This garden gnome is a mythical creature characterized by its extremely small size. 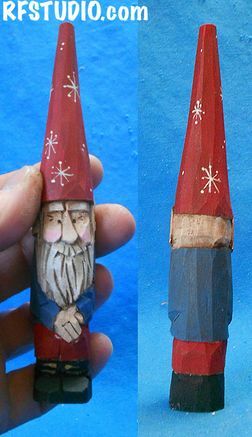 This one of a kind Gnome is carved from basswood and is intricately hand-painted to enhance details. Measures: 1" x 1" x 6" h - from Basswood.